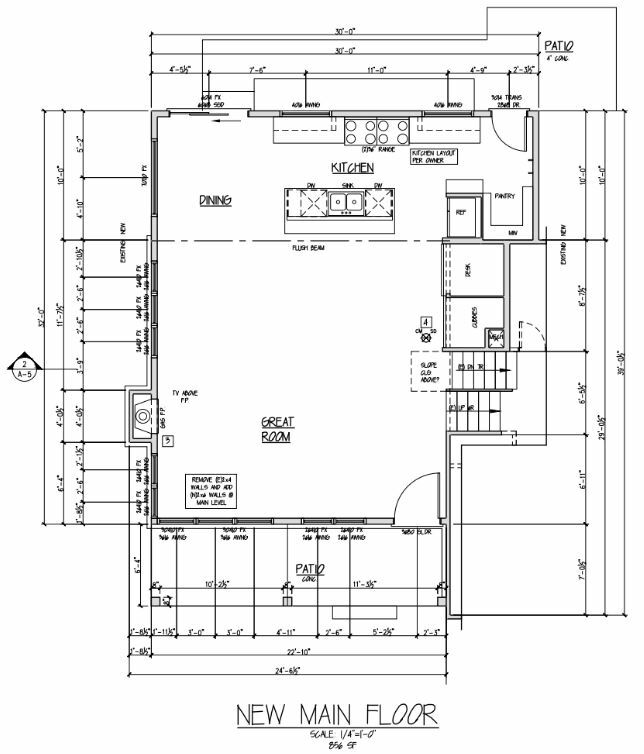 The plan for the main floor is to open things up and provide an open plan living area and kitchen. A dedicated master suite, study, and game room will be added upstairs. Note dual slide in 30″ ranges and dual dishwashers; we have found both to be fantastic time savers for our growing family. Just under 2,900 feet on this one, which is just enough, not too much.